Know someone who spends more time traveling than they do enjoying a hot dinner in the comfort of their own home? Well, check out this little list, jam-packed with great gift ideas for those who like to travel! Anyone who is a frequent flyer will appreciate these humorous luggage tags made from upcycled, genuine Round The World racing yacht sail! By The Reefer Sail Company £25 at notonthehighstreet.com. 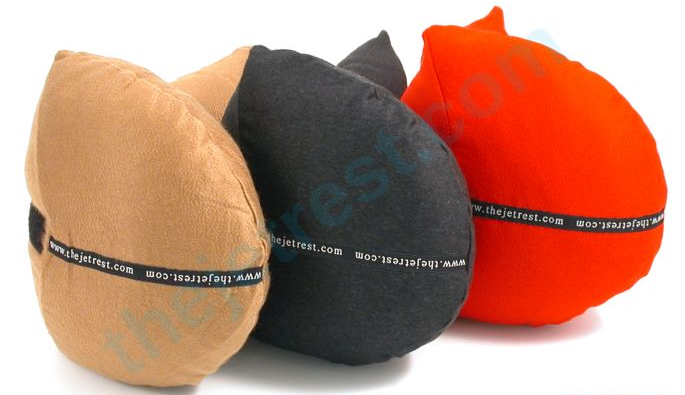 Sleep anywhere in style, and total peace and quiet with these beautifully designed ear-plugs. Available for £6.99 at johnlewis.com. This clever little contraption connects travellers to power supplies in 150 countries worldwide, and it even has a hidden kitchen sink! (only joking). Buy online for £34.99 at go-travelproducts.com. Versatile, available in three colour combos, and can be personalised. We love this handy accessory that can hold your passport, carry your coins, and charge you phone or mp3 player! Genius! Made by Stow London and available on notonthehighstreet.com for £89. Any globetrotting friend or family member will be super chuffed with this solution for storing all those left over coins after a trip. It has six compartments and comes with plenty of labels. Just £16.99 at presentsformen.co.uk. Quiet, battery operated and comes complete with a matching cap for hygienic storage on the go, perfect for short trips or long haul holidays! Order online from landyschemist.com, £41. A classic designer travel bag that will stand the test of time both in style and in wear – perfect for that very special jet-setting someone. Price Tag: £1,350 from mulberry.com. This eye mask is the epitome of luxury travel accessories. Soft velvet cotton backing = supreme comfort and the pinch of dried lavender inside will help to soothe tired eyes. Also available in executive pinstripe! Beautifully gift-boxed, £45 from otisbatterbee.com. 100% velour finish Scottish cashmere covers make these travel pillows among the most luxurious on the market, and the unique design makes them reportedly the most versatile and comfy too. Order direct from thejetrest.com for £89.95. Want to give a practical gift? How about Travel insurance? Our winter sports travel insurance is an ideal purchase for friends or family that like to take to the piste at this time of year! This entry was posted in Fun, Travel Advice, Travel Shopping on December 10, 2014 by worldwideinsure.